DEZACT is a platform created to speculate and investigate the changing modes of conception, production and consumption of urban space in the post digital era. It operates at the disciplinary intersection of art, architecture, new media and urban studies. It brings together artists, designers and educators to participate in a forward-looking debate on the position of technology in art, architecture and culture. There has been much interest in concepts of the ‘informal’ and ‘agent’ in contemporary cities. This is evident through revelations of, spontaneous, irregular and aleatory ties between layers or fractions of formal and informal urban systems particularly in fast-growing Asian cities. This drives a growing demand for the architectural discipline to experiment with dynamic and adaptive means to bridge these layers and fractions of urban activities, innovating the socalled agent of exchange. Pioneering projects in the 1960s and 70s by the ‘Metabolists’ and ‘Megastructuralists’ had offered spectacular visions of how these dynamic and adaptive exchanges between users and urban artefacts may be. Building on such inspirations and experimentations, as well as embracing new computational tools emerging across past few decades, the APPENGENT cluster aims to develop the so-called ‘urban plugins’ as contemporary entities of adaptation and exchange. 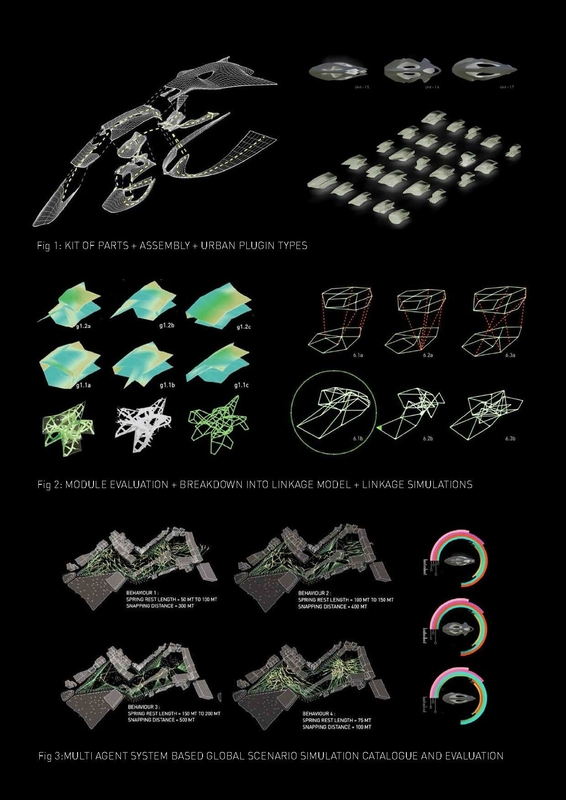 The APPENGENT ‘plugins’ are a combination of ‘appendages’ to existing urban fabric and ‘agent’ of feedback within dynamic of exchange and transform. This challenges the traditional subsidiary role of ‘plugins’ to provoke a more symbiotic, multilateral and interventive relation between primary bodies (hosts, existing urban fabric, designed system, etc.) and agent of change (ad-hoc communication, chance participation or facilitating hardware/ software, etc.). The testing ground for the APPENGENT project begins in real situations of rapid urban transformation in the city of HK, as well as expanding to a network of cities with strong economic, social and cultural ties. APPENGENT Cluster sees investigation of both material and social forms of engagement as a prerequisite and will operate as a two pronged parallel investigation over the course of the four days. Recent advances in the physics based simulation methodologies for design will be explored to develop transformable plugin modules. Existing building components such as fenestration elements, external service infrastructure and rooftops will be the focus of the investigation in terms of developing frameworks for plugin modules with productive (energy, food) and spatial capacities. At the global scale time based evolution of these systems will be investigated in a process that simulates part to part and part to whole interactions. Multi agent systems and urban information mapping will be used for simulation of the non linear event based phenomena. The cluster seeks to deliver tangible models and global frameworks for the urban plugins, as the outcome of the four day workshop. Participants from architectural and associated fields are encouraged. Participants will work in teams of two or three in order to develop parallel ways to interpret the system. To maximise the output from the cluster, participants will utilise prebuilt apps/libraries developed by the cluster champions, to speculate on frameworks for both the unit as well as the global system. These apps are based on force based design methods and provide frameworks to develop and simulate the system at multiple scales allowing for the participants to come up with unique solutions . In terms of their global organisation and time based evolution a multi agent system based simulation method will be used. Focus will be developing tangible frameworks and systemic implications for the adaptive plugins within an urban precinct in HK used as a test case. To gain intuitive physical understanding of the adaptive mechanisms , a 3d printed LEGO like kit of parts based component system will be utilised where the parts combine to form transformable structures. Node bar based linkage model information will be abstracted out of the physical prototypes to digitally study the kinematic transformation sequences. The study will concentrate on achieving maximum global transformation with minimum actuation. A catalogue of variations and a scaled prototype will also be exhibited at the end of the four days. Assemble components and produce scaled prototypes.